Only had 3 nights. Wish I had 7. Great hostel and location. Brilliant hostel. Great staff. Fantastic area. The staff was helpful and friendly putting traveler's at ease. The activities are quite affordable and they have a great mix of scenic, sporty, and cultural. Over all a great experience. I really liked the atmosphere. However, people were really loud and not really considering that others try to sleep. That being said, the location is just lovely and really nice. Basically on the beach! Surf lessons are super cheap as well which is nice! They have affordable activities at the hostel which is nice. However, not really much to do. Very cool hostel basically on the water. We stayed in the private huts and were blown away with the cleanliness, view and overall experience. The food is delicious too. Would recommend to anyone visiting the area. Nice Hostel with clean facilities and friendly staff right at the beach! They offer activities to the sights every day. You can get breakfast, lunch and dinner as well. Only downside is the lack of lockers for valuables and the river which makes it quite a way from some rooms to the main hostel. 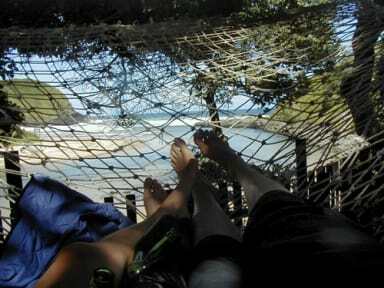 This is THE place to stay on the Wild Coast. The setting is incredible and the staff are super friendly and accommodating. There are loads of fun activities to do and the beach is stunning. Overall a nice place and a good party hostel. Wouldn't recommend staying if you want to catch up on sleep. Unfortunately dorm 2 smelt like sewage.Saying this the management were very prompt in dealing with the situation and cleaned the whole room.